Just posted: Canon EOS RP Camera Review. This is an ultra-low-cost, tiny and light full frame mirrorless interchangeable lens camera that will make a great step-up or even first camera. The review awaits some lab testing, but a significant amount of the information is already included. The short Canon EG-E1 Extension Grip Review is also available. It's a nice little accessory for the RP. 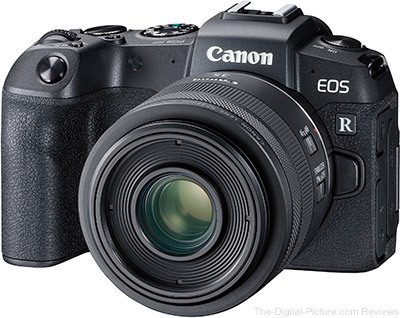 The Canon EOS RP is available for preorder at B&H, Adorama and Amazon US. For a full list of preorders (including kits with awesome savings and free accessories), click here.